Imagina que pongo frente a tus ojos una baraja de cartas como la maga que NO soy y te pido que tomes una al azar y que me digas de qué carta se trata sin mirarla. Probablemente me dirás que no eres adivino y que no podrías quizá ni tan siquiera aproximarte, porque necesitarías saber en todo caso, de qué tipo de baraja se trata. Si te digo que es una baraja española, podrías tal vez aproximarte más, e incluso la probabilidad sería mayor si te dijese que he quitado los ochos y los nueves de cada palo. Para afinar más en tu ejercicio de adivinación, eliminarías dichas cartas de la lista de cartas posibles. El hecho de que aciertes o no, es desde luego una cuestión de azar, pero con las indicaciones que te he dado, no es nada probable que te encuentres el tres de diamantes, por lo que ni te plantearías buscarlo. No entraría dentro de tus expectativas. 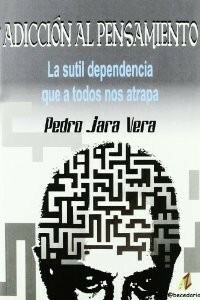 Este ejemplo puede ser muy absurdo, pero bastante clarividente a mi entendimiento al releer el capítulo "Mirando en perspectiva" del libro "Adicción al Pensamiento" del psicólogo Pedro Jara Vera. En el transcurso de la vida a menudo nos sentimos decepcionados y dolidos con otras personas e independientemente de que decidamos apartarlas de nuestro círculo, (lo cual queda a nuestra elección), puede que después de mucho tiempo sigamos rumiando pensamientos negativos relacionados con ésta o aquella persona que nos decepcionó. 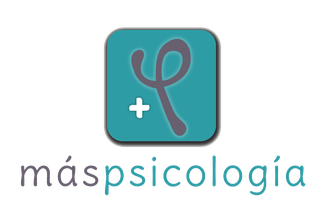 Quizás, en un ejercicio que va mucho más allá de la empatía, consigamos no solo ponernos en el lugar de la otra persona, sino comprender que...su esquema de pensamiento se aproxima bastante a la idea de "tipo de baraja". Hi, this weekend is good designed for me, because this time i am reading this great informative piece of writing here at my residence. Somebody essentially help to make critically articles I might state. This is the very first time I frequented your website page and thus far? I surprised with the research you made to create this actual put up amazing. Fantastic activity! I have read so many articles concerning the blogger lovers except this piece of writing is really a pleasant paragraph, keep it up. Hello there! This blog post could not be written much better! Going through this article reminds me of my previous roommate! He constantly kept preaching about this. I will send this post to him. Pretty sure he's going to have a great read. Thanks for sharing! It's amazing to pay a quick visit this site and reading the views of all friends on the topic of this article, while I am also eager of getting knowledge. I like the helpful info you provide on your articles. I will bookmark your weblog and take a look at once more right here regularly. I'm reasonably certain I will be informed many new stuff right right here! Good luck for the next! It is the best time to make some plans for the future and it's time to be happy. I have read this post and if I could I desire to suggest you some interesting things or suggestions. Perhaps you can write next articles referring to this article. I desire to read even more things about it! After exploring a handful of the blog articles on your web site, I honestly appreciate your way of writing a blog. I book-marked it to my bookmark site list and will be checking back in the near future. Please check out my web site as well and tell me what you think. I've been surfing online more than 3 hours today, yet I never found any interesting article like yours. It's pretty worth enough for me. In my opinion, if all site owners and bloggers made good content as you did, the web will be a lot more useful than ever before. I'm really loving the theme/design of your website. Do you ever run into any browser compatibility issues? A few of my blog readers have complained about my site not working correctly in Explorer but looks great in Safari. Do you have any advice to help fix this issue? Good day very nice blog!! Man .. Excellent .. Wonderful .. I'll bookmark your website and take the feeds additionally? I am happy to seek out numerous useful info right here in the put up, we'd like work out extra techniques on this regard, thanks for sharing. . . . . .
My brother suggested I may like this web site. He was once totally right. This publish actually made my day. You cann't believe just how a lot time I had spent for this information! Thanks! Wow, that's what I was looking for, what a data! present here at this blog, thanks admin of this web site.